My staple hairstyle would be my all time favorite, the popular twist out! Twisting your hair keeps the hair tangle free and moisturized. It also helps with stretching the hair to give it more length. 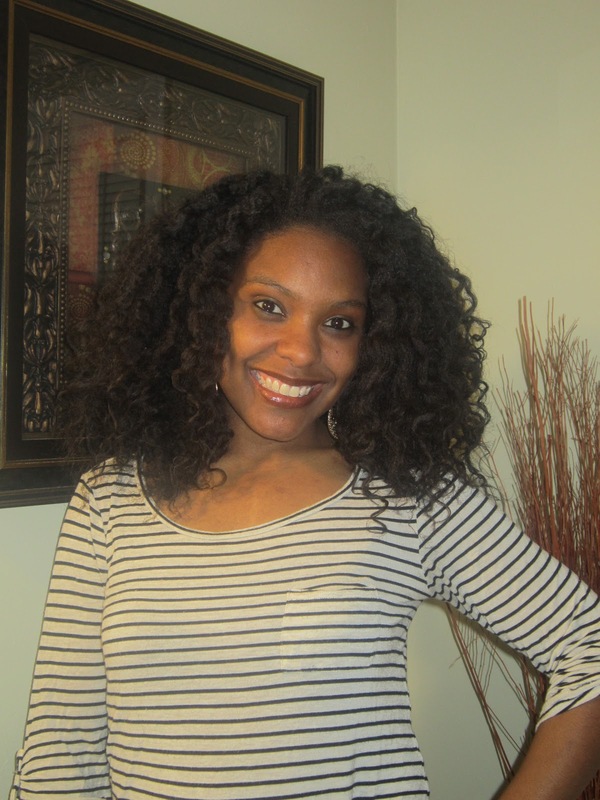 Here's several tips for having a successful twist out. Make sure hair is conditioned and detangled. Section hair into 4 or 6 sections. Start from the back adding a dime size amount of your favorite creamy leave in, unrefined shea butter and a very small amount of your favorite gel. Make sure to get a good grip on your twist. You don't want a loose twist. You should have about 20 to 30 twists. I like to secure the twists with White perm rods, which gives it an extra curl. This works great for transitioning, because you still get a curly look. Make sure the twists are completely DRY!!! Very Important! Before you unravel the twist, add a dime size amount of coconut oil or jojoba oil to the ends of the twist and then begin to unravel. Take your time, so you won't create frizz. Remember, the more hair you pull apart from the twist, the bigger the hair gets. Some areas may require you to do that and some may not.